The RPM Rear Skid Plate for the ECX Circuit 4×4 and Torment 4×4 (see “Tech Notes” below) adds protection to the chassis where the stock version does not. We lowered the skid plate by .078” (2mm) below the base level of the chassis to help reduce the amount of skid damage the chassis plate encounters at the rear end, where the most amount of wear is usually encountered. Replacing a chassis is both expensive and time-consuming, which makes this replacement rear skid plate a no-brainer. Each RPM Rear Skid Plate is molded from our ultra durable blend of engineering grade nylons and can take a serious beating! Bolt one on today for the ultimate protection for the back end of your chassis! 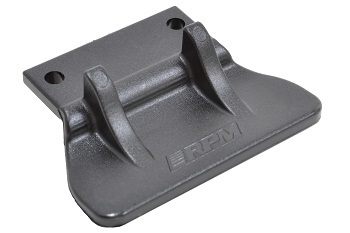 Tech Notes: The RPM Rear Skid Plate is a stock replacement item for the ECX Circuit, replacing stock #ECX231017. The Torment 4×4 requires the use of an RPM #73842 Rear Bumper and will not work with stock Torment 4×4 or any other known aftermarket rear bumpers.